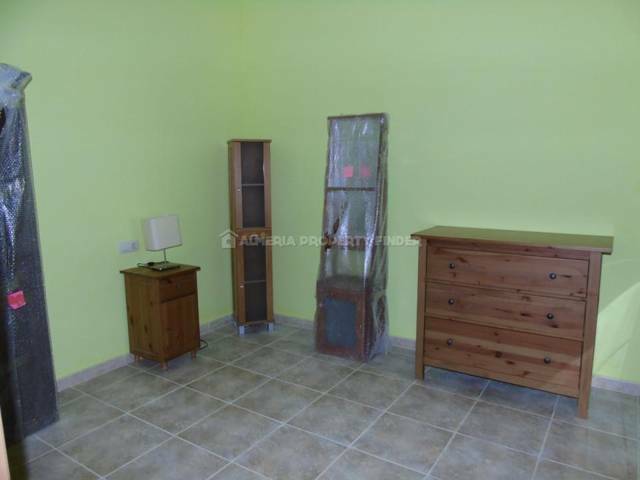 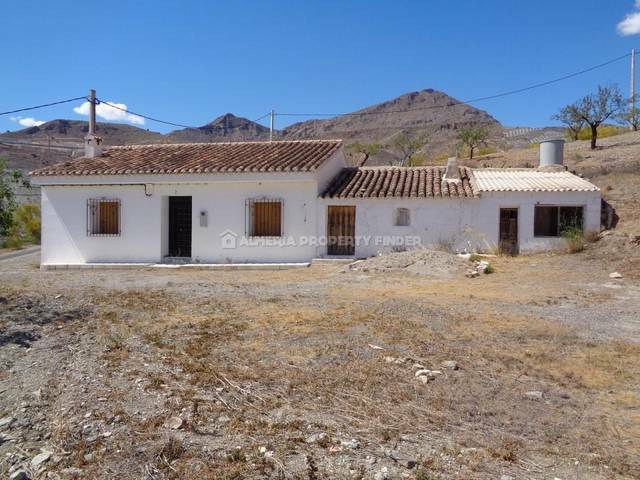 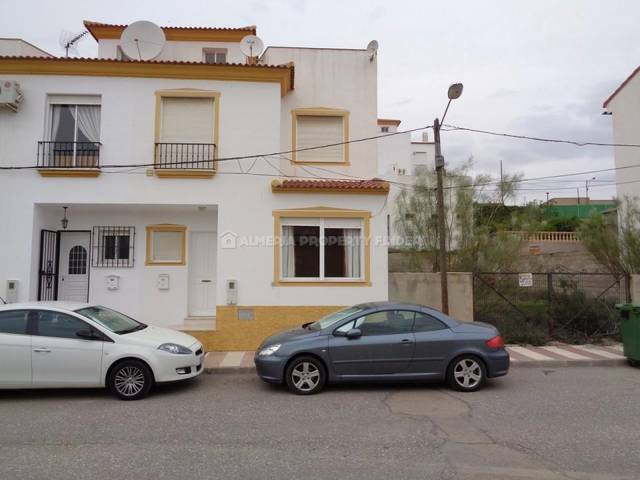 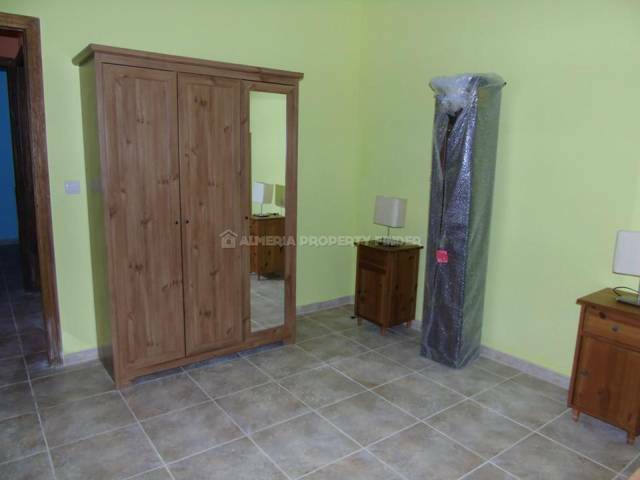 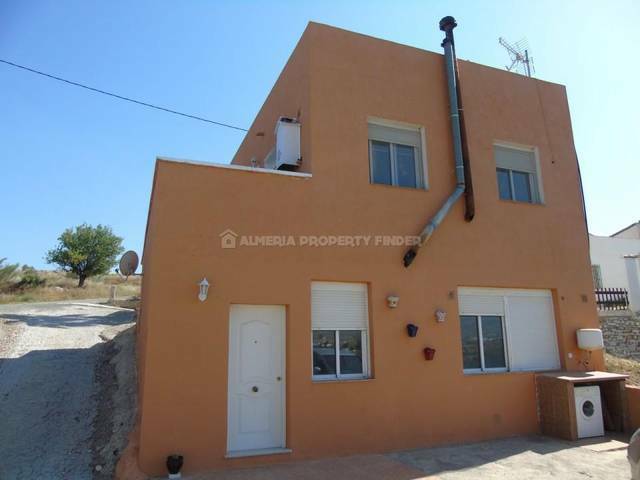 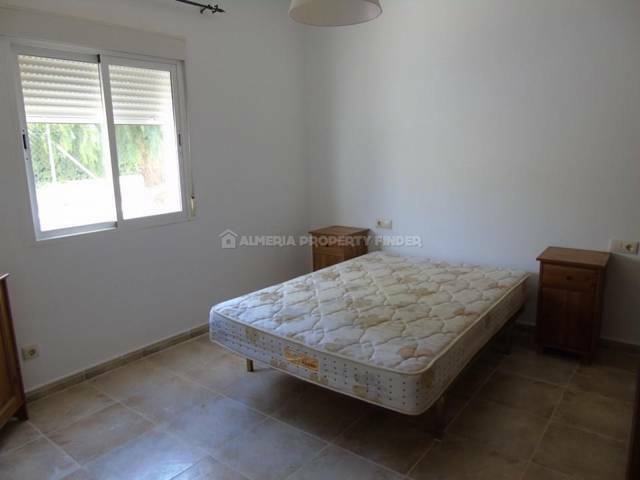 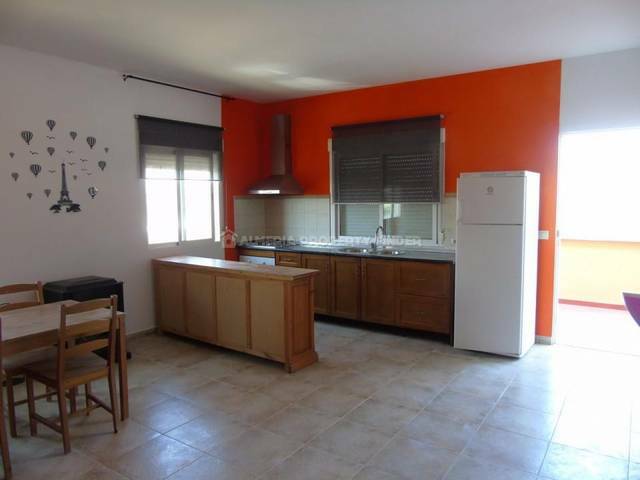 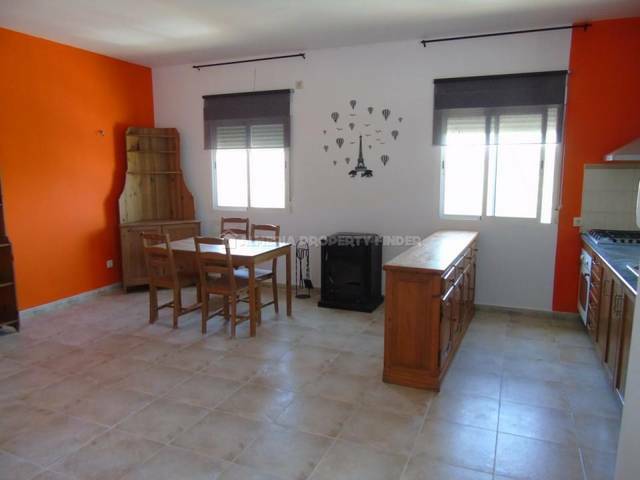 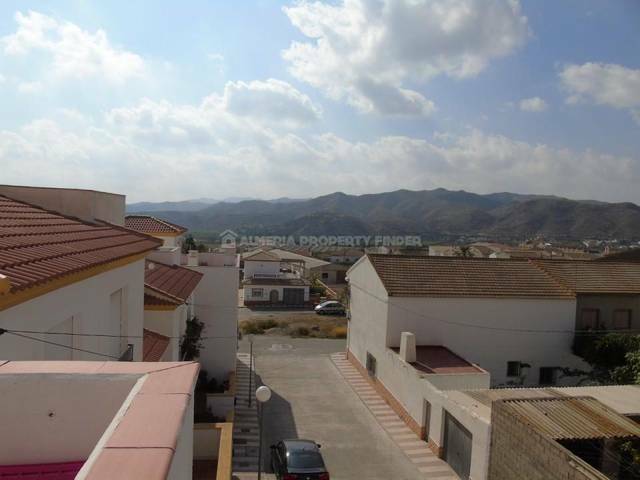 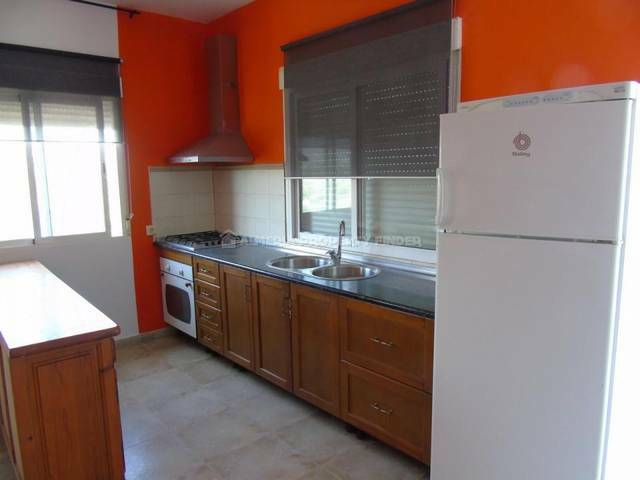 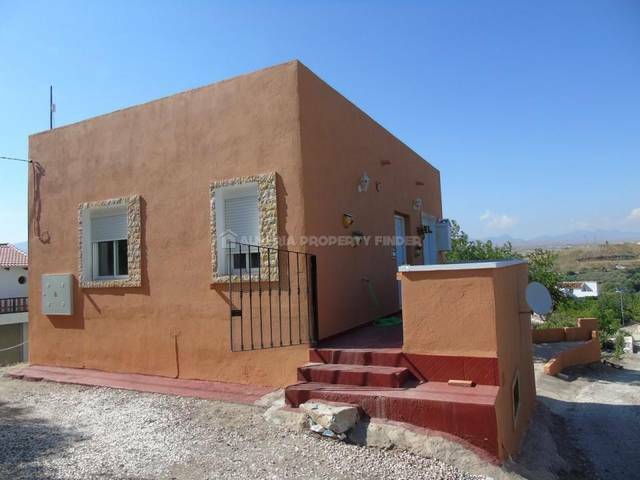 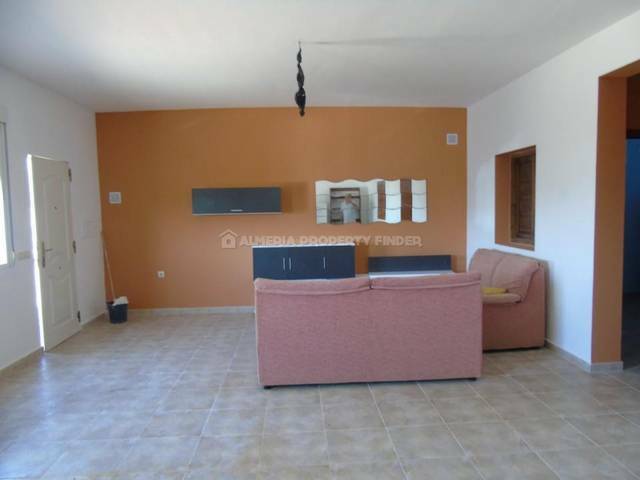 Detached 3 bedroom country property for sale in Almeria Province, situated in a rural hamlet between the valley towns of Cantoria and Fines. 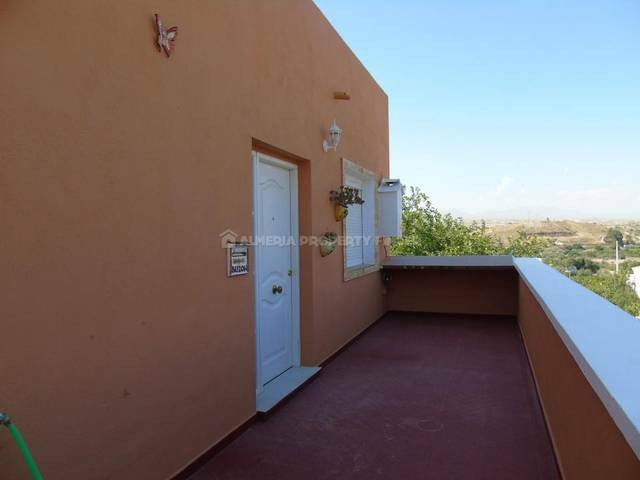 The property is currently set up as two self contained accommodations, one on each floor, so would be ideal for visiting family & guests, or could be used to create a rental income. 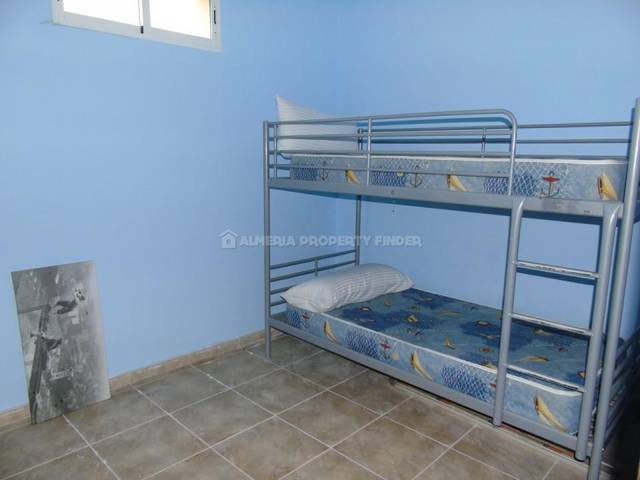 Each accommodation has its own electricity meter. 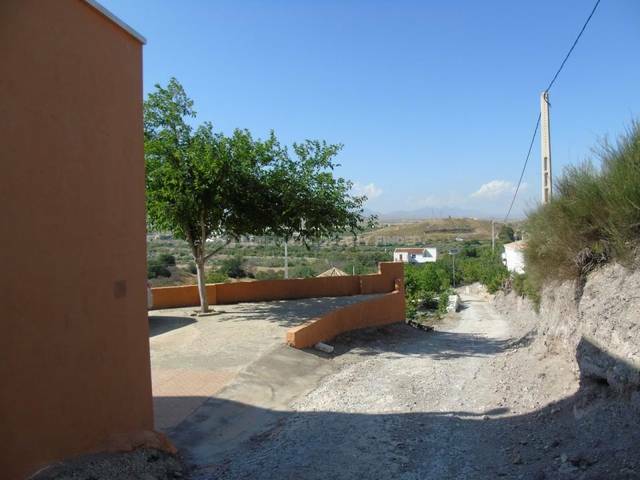 The ground floor has its own private access and the front door opens directly into a large open plan living room with free standing wood burner. 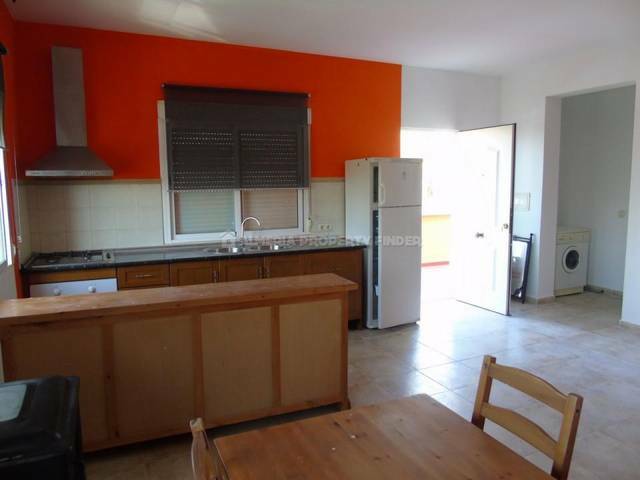 To one end of the living room is a fitted kitchen with double sink, gas hob & extractor. 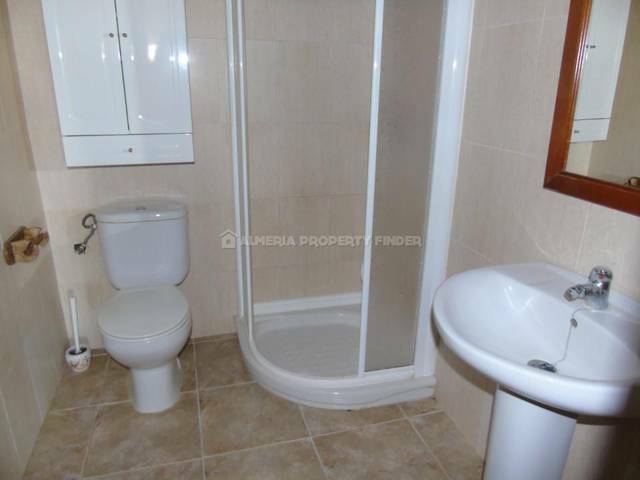 There are two double bedrooms and a shower room comprising corner shower cubicle, WC and pedestal basin. 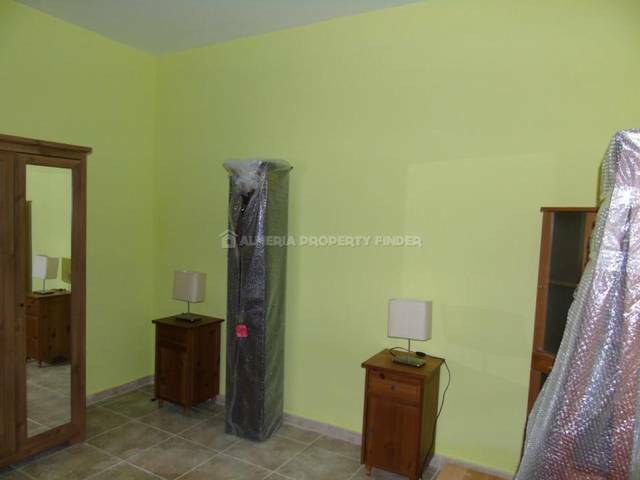 The first floor is accessed via the rear of the property. 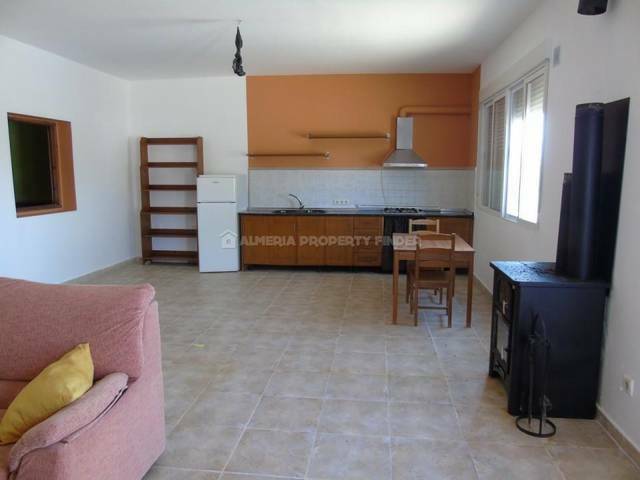 A few steps lead up to a small walled patio from which the front door opens an open plan living room with fitted kitchen to one end. 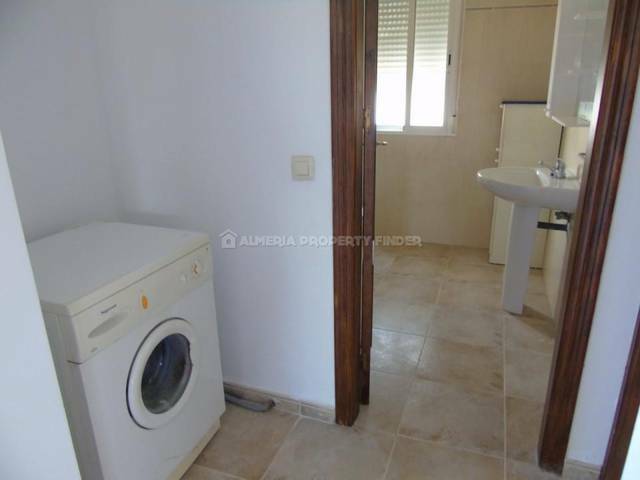 There is a double bedroom, a shower room with shower cubicle, WC and pedestal basin, and a small utility area. 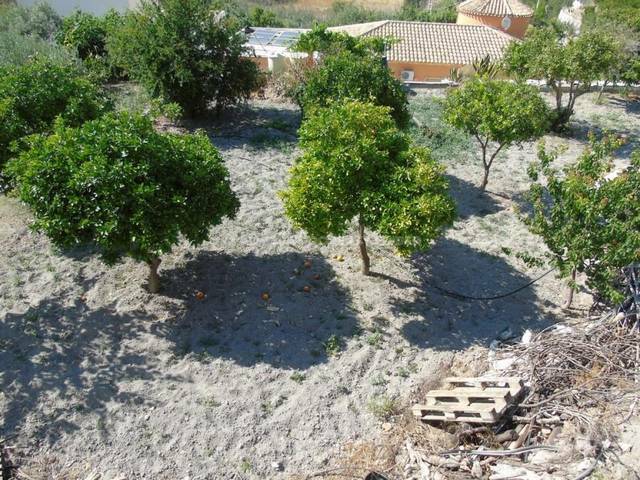 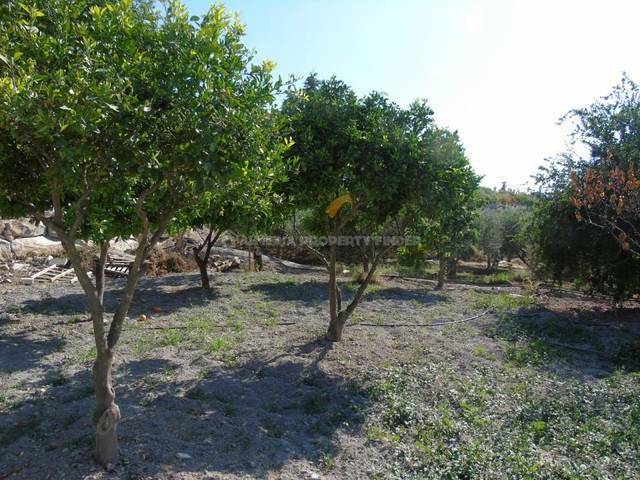 The building has a total build size of 150m2, and is set in a plot of around 500m2, part of which is planted with orange trees.